In 2009 there was widespread concern about the ‘swine flu’ pandemic. While there were 20 deaths in New Zealand, this was a tiny fraction of the 9,000 who died in the 1918 flu pandemic. Since the advent of vaccination, antibiotics and better sanitation, epidemics have been more readily controlled. What are epidemics and pandemics? An epidemic is when many people have the same disease at the same time. They are usually caused by infectious diseases, such as influenza (flu). A pandemic is when an epidemic spreads between many countries. Many diseases that used to be common, such as polio, have been controlled by immunisation. This causes a person’s body to produces cells and antibodies to protect them from the disease. Other diseases have been controlled by better hygiene and sewerage systems, or new drugs. European settlers brought new diseases such as measles and flu to New Zealand. Māori lacked natural immunity to these diseases, so many died from them. Early settlements usually did not have clean water and sewerage systems, which made diseases such as typhoid very common. Flu pandemics occurred in 1890–94 and 1918. The 1918 pandemic killed more than 50 million people worldwide and 9,000 in New Zealand. Poliomyelitis (polio) was a common disease until the 1960s. It could cause paralysis and death. 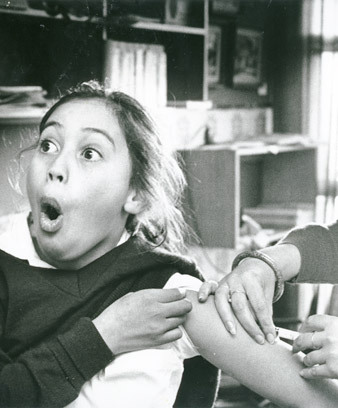 Polio vaccines have removed the virus from New Zealand. Meningococcal disease, which causes meningitis, reached epidemic proportions in the 1990s and early 21st century. Between 2004 and 2007 more than 1.1 million children and young adults were immunised against meningococcal group B virus. Better health services, immunisation and antibiotics have meant that epidemics have become less frequent. Despite this, hospitalisation rates for infectious diseases have increased, and air travel means diseases can more easily travel between countries. In 2009 the ‘swine flu’ pandemic caused 3,000 cases and 20 deaths in New Zealand.